We have a special presentation from Quilting Treasures on Tuesday, May 9th from 1:00-3:00pm in our classroom. 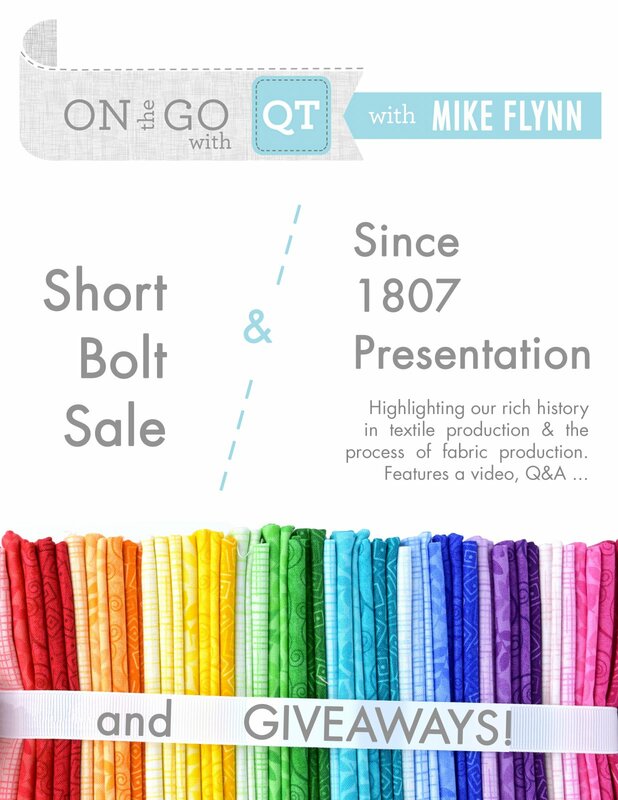 Our rep Mike will be here with 250 bolts to sell to you at only $6.99/yard! The bolts will range from 3-8 yards each and you will need to purchase the whole bolt. Limited spots available so registration is $5 to hold your spot and then on Tuesday you can use that $5 towards your purchase (you will forfeit the $5 if you do not attend). We hope to see you here!